Ever been out and thought, “oh what a beautiful pointer dog” And then been wrong, because it wasn’t a pointer? It happens to me a lot. I’m not so swift with ID’ing breeds- and now that I know Reggie’s breed it’s easy to understand how someone can mistake one breed for another. 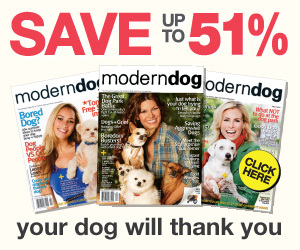 Keep reading for commonly mistaken breeds. 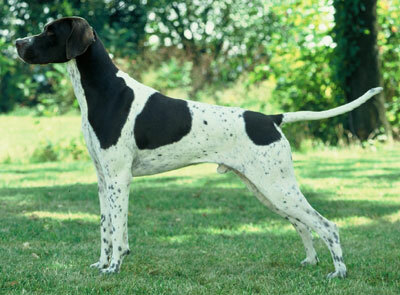 The Pointer, sometimes called the English Pointer, is a gun dog. Originally used for pointing hares, now used for birds. The German Shorthair is also a gun dog, a pointing dog, but has been bred to be more versatile with pointing and retrieving on both land and in water. Useless trivia: Dock Dogs champion is a German Shorthair. The way to tell them apart? 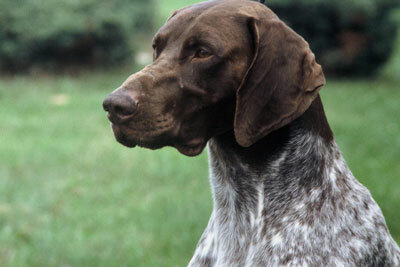 Pointers have a distinct stop at the bridge of the muzzle and head, and the muzzle is square. 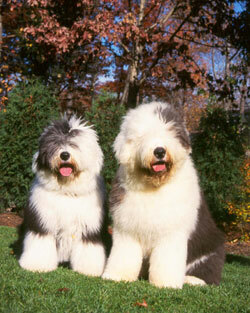 Historically, both of these dogs are sheepherding dogs. 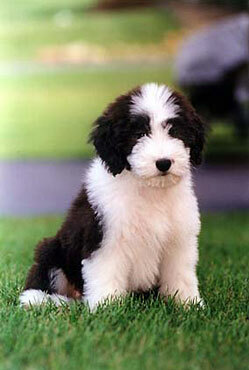 Nowadays, the Old English Sheepdog is a family dog, lumbering about- a fun loving homebody. The physical difference? The Sheepdog doesn’t have a tail. Ok it has a tail, but the natural tail is small and covered by all that fur and the breed standard is to dock it anyway. So I always check for a tail! 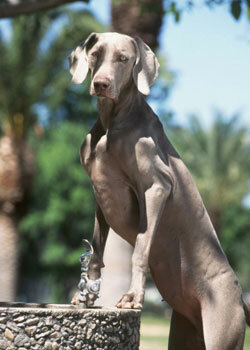 The Weimaraner is traditionally a big game dog (wolves, wildcats, deer, etc.) but in the modern era is used for birds. 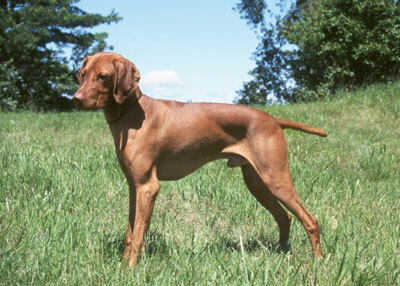 The Vizsla is a pointer/retriever dog in field and water known for its incredible endurance and stamina. How to tell them apart? A Vizsla will be a copper or rust color with a nose of the same color (never black). That’s it. Weimaraners, also called “ghost dogs”, are varying shades of gray with matching noses. Breed standard is to dock the tail. Little dogs are the worst for me. I am a big dog person. Especially when there seems to be more grooming options for little dogs, and people take advantage of this and make it worse for me and give the poor little dog an identity crisis. 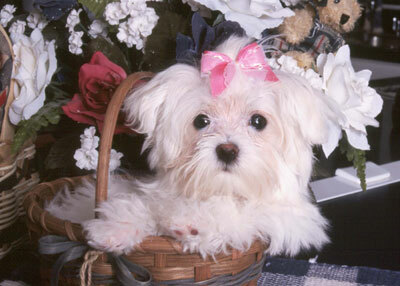 The Havanese is the national dog of Cuba- a herder of poultry and playmate of children. The Maltese is the dog of Malta and was a royal dog, an object of art. 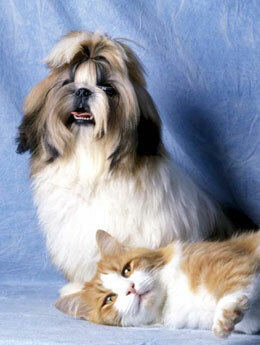 Similarly, the Shih Tzu was a royal house pet. Their differences? 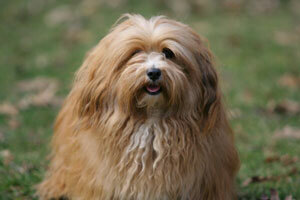 The Havanese is the only one that will have a slightly wavy, even curly if a puppy, coat. The Shih Tzu will have an underbite. All three have tails that curl up over their backs. 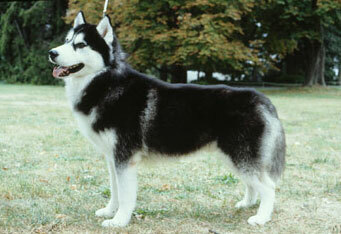 Sled dogs are another category where I beg out. Sorry arctic dogs, you all look wolf-like and fluffy to me. Both of these are sled dogs, bred to travel great distances carrying supplies in remote areas in frigid temperatures with great endurance. 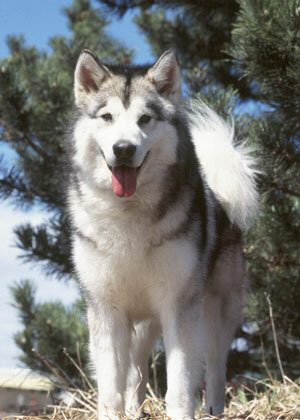 Malamutes will never have blue eyes, while Huskies often do. All other physical characteristics are very similar!